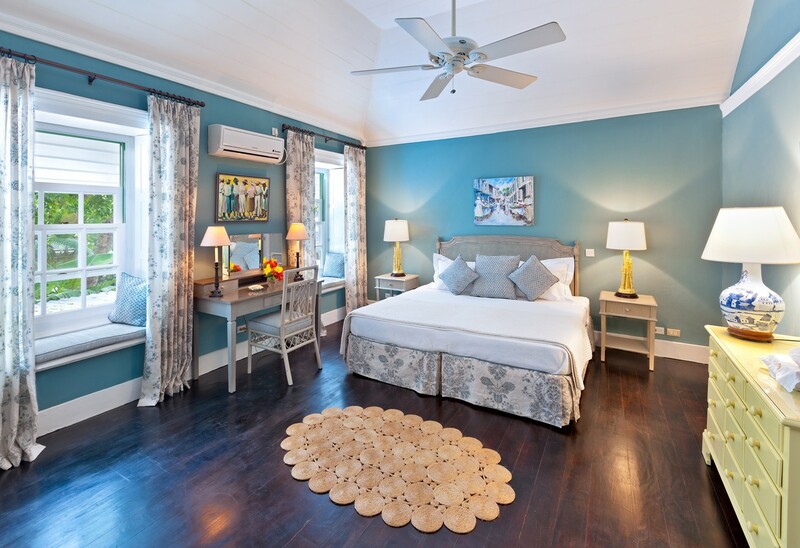 Villa Leamington House Barbados. 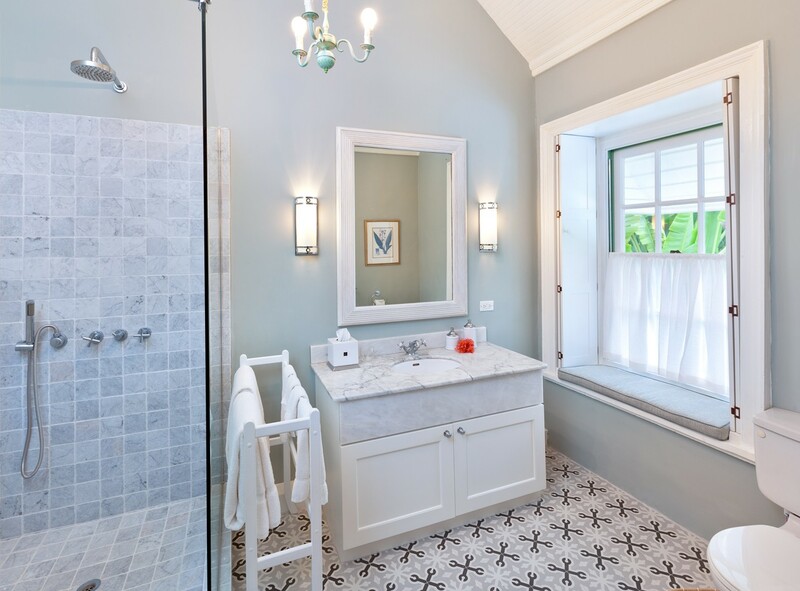 If your goal is to savor the most luxurious island escape possible, and you have chosen to visit Barbados, it may be difficult to match the luxury of the Villa Leamington House. 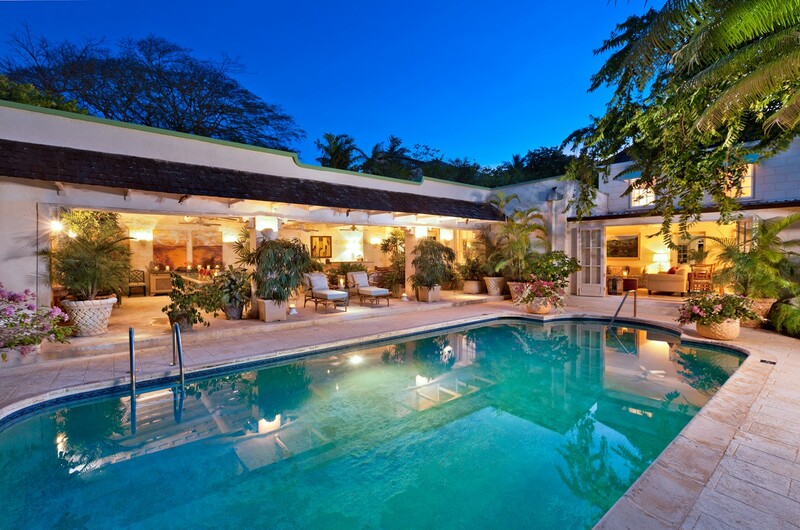 This is part of the larger, private Leamington Estates in the coveted Speightstown area of the island. Designed by Oliver Messel, they offer you a single destination ideally suited to be the only destination you visit. 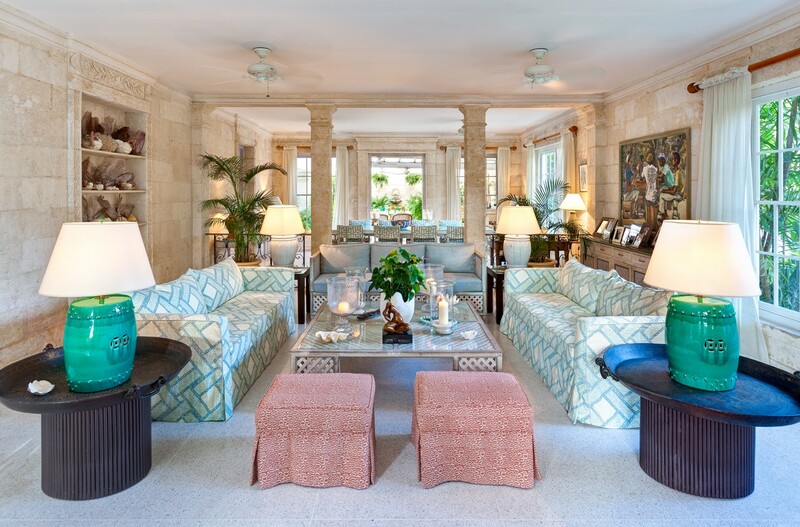 Surrounded by some of the most mature and beautifully cultivated gardens, the property is a masterwork of inspired, island design. Enter through the main courtyard and marvel at the spaciousness and elegance that surrounds you. 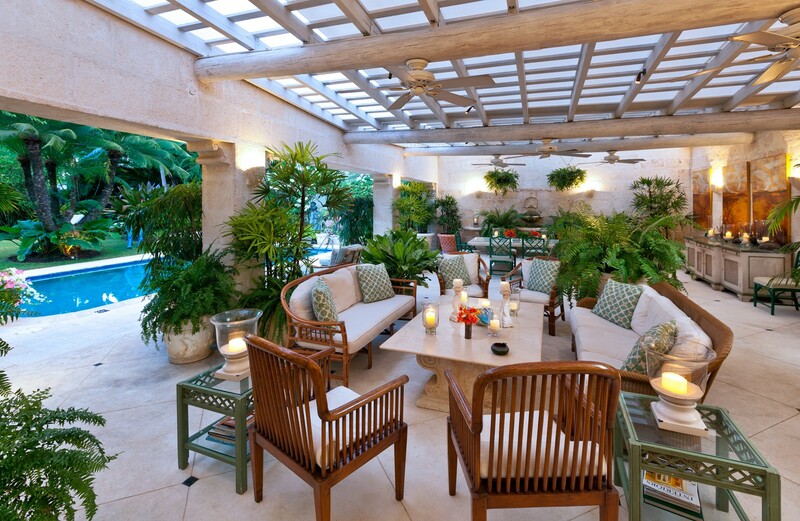 The pool is a lovely spot framed in marble and stone and flanked by an array of shared lounging and dining spaces. 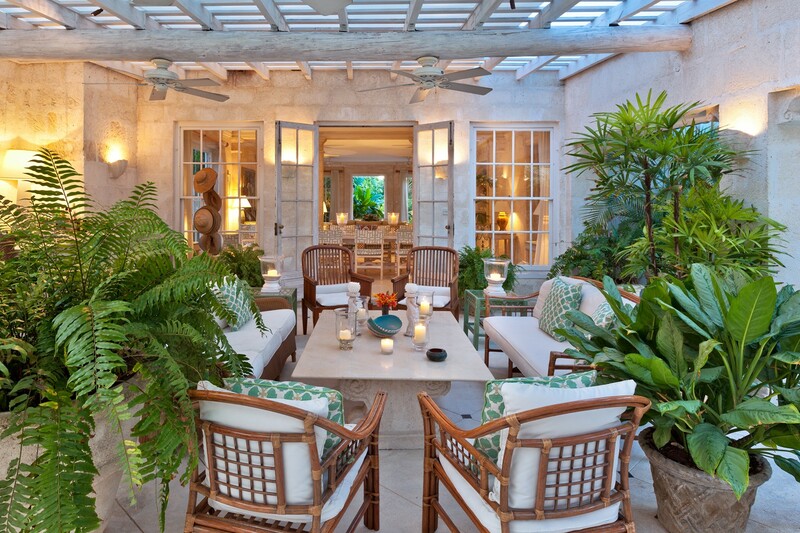 A low verandah opens into a greenhouse like space for dining or relaxing and nearby is the entrance to the great room. 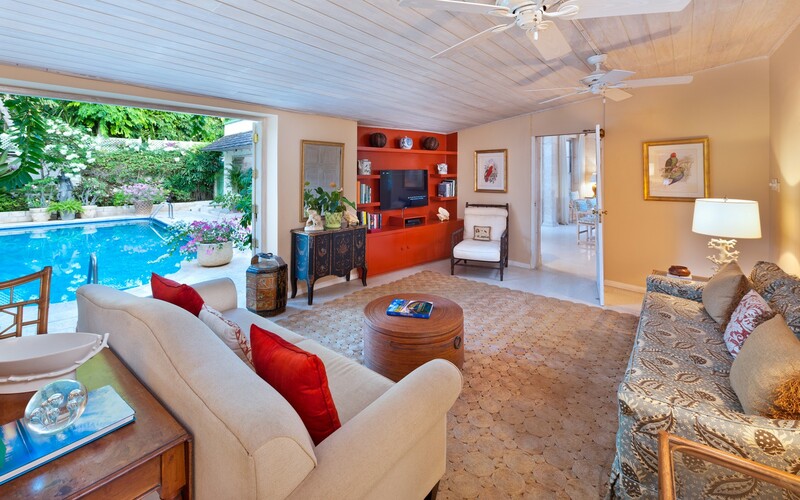 Here you find a home entertainment space, a large and welcoming living room, and the bright and airy dining room. Of course, you don't have to lift a finger during your stay, since your cook, butler and household staff take care of it all. 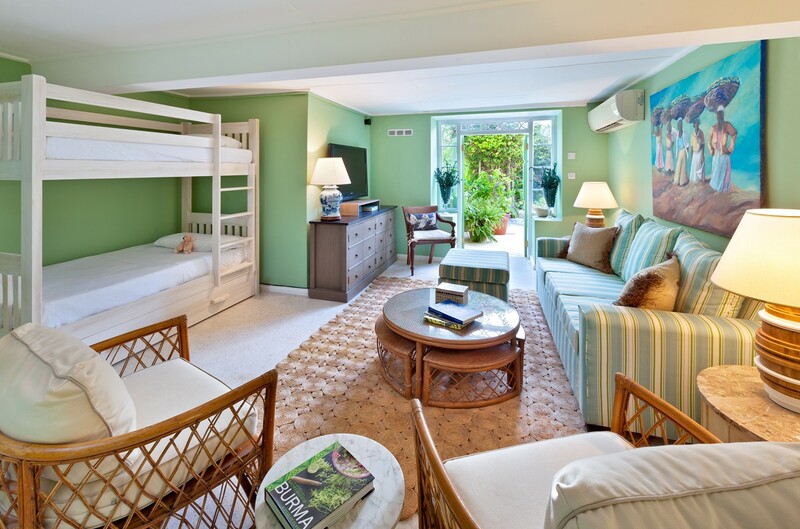 The gourmet kitchen is appealing and you are welcome to use it, but you would probably prefer to spend your time wandering the grounds, enjoying the many amenities, or heading down to the beach via your private access. 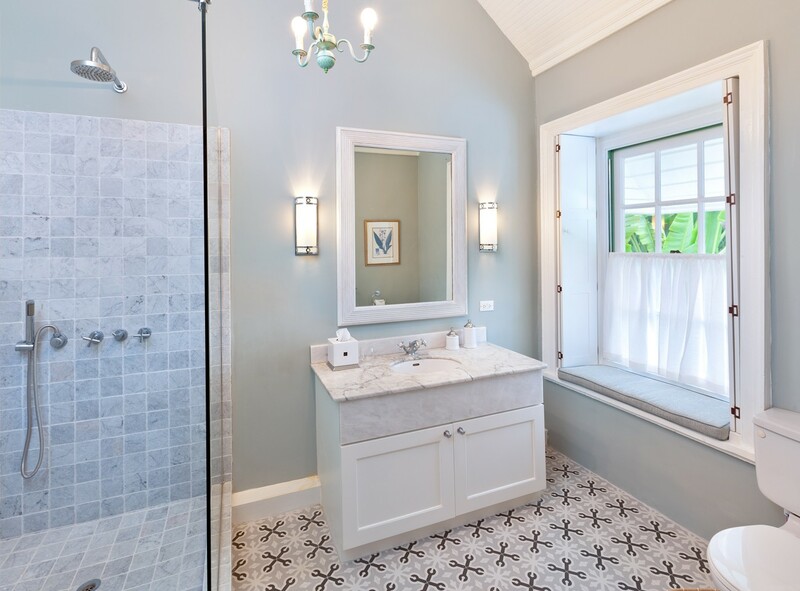 The five bedrooms are also beautifully designed retreats of their own and there is a master suite with private bath and sitting areas, and four additional king suites, each with private bath. All have access to the gardens or wonderful views. 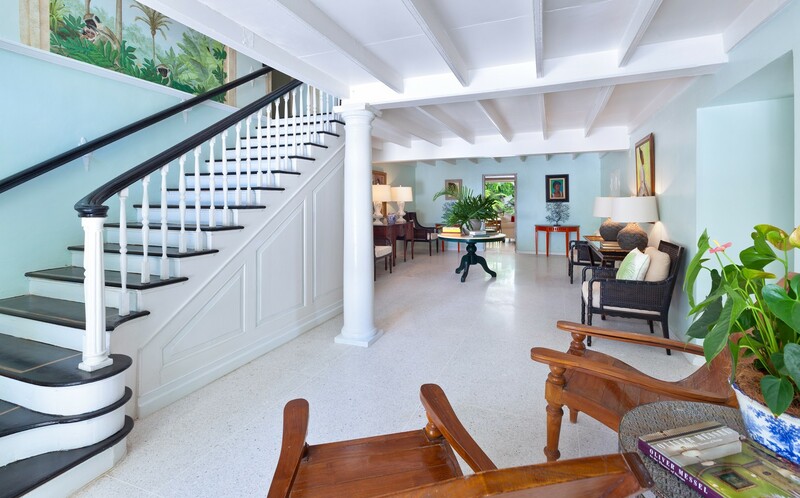 The Villa Leamington House has it all, and it would be a wonderful choice for a family enjoying a reunion or holiday together, a group of the most discerning travelers or even a small but ultra-luxurious destination event. 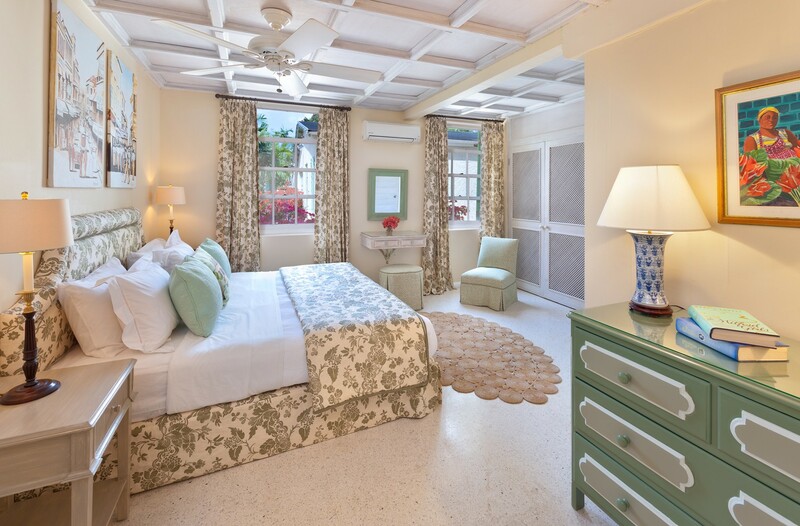 Bedroom 1: First floor Master bedroom with a king-size bed, A/C and en-suite bathroom with shower, vanity and WC. 2 guests maximum. Bedroom 2: First floor bedroom with two single beds (can be made up as a king-size bed), A/C and en-suite bathroom with bathtub, vanity and WC. 2 guests maximum. Bedrooms 3 & 4: First floor bedrooms with two single beds (can be made up as a king-size bed), A/C and en-suite bathroom with shower, vanity and WC. 2 guests maximum. What a stay we had at Leamington House! Fabulous house with even more fabulous staff. Loved the location. Lots of privacy yet just a walk through the garden to the beach. Also liked having the hotel next door as we could use their beach chairs. Had some of the best meals I can remember on this holiday. Thank you all so much! 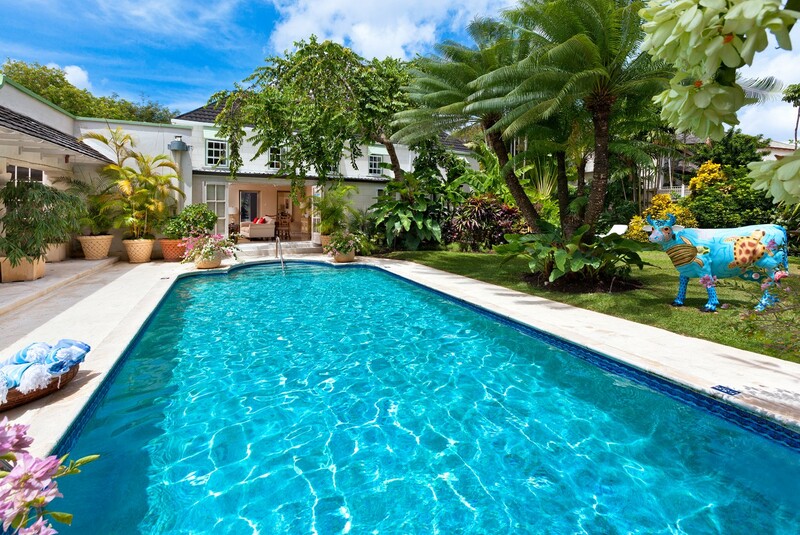 "My family and I had a great time in Barbados and would love to go back one day. We would definitely use your services once again. Many thanks to you and Mary for all your help with our travel plans."